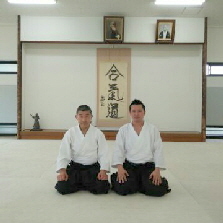 Sensei Kanno studied Aikido in Hombu Dojo, Japan for 7 years under Shoji Seki Sensei, Hayato Osawa Sensei, and Shigeru Sugawara Sensei in particular. 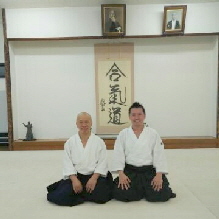 He moved to Bali in September 2010 and ever since, he has been continuing training Aikido at Dojo Samurai with Bali Aikikai members. For the 4th Dan grading, all candidates are required in Japan to write a short Article on Aikido. 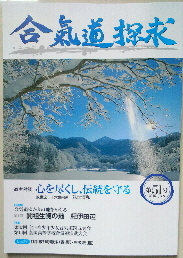 Sensei Kanno’s article was accepted, and due to its qualities, has also been published in the Aikido magazine from the Hombu Dojo “Aikido Tankyu“. 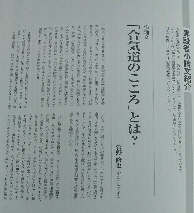 The article is entitled “The Heart of Aikido” and is written in Japanese. As yet no translation if available - we are sorry to say!